How can I make a Smart List that shows me all projects with no next steps? This is how you create a Smart List for projects that have no open tasks remaining. In the Smart List dialog, select the advanced filter at the very bottom of the filters list. Then select "matches" from the dropdown menu and add the following to the input field before saving. 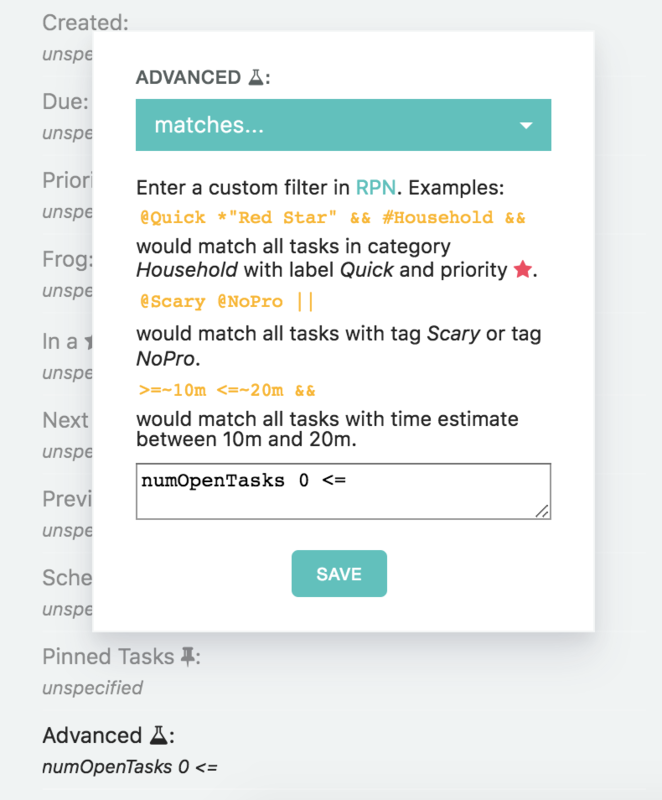 This means it will select all projects where the number of open tasks is smaller or equal to 0.